This Friday, Bristol Bay Productions (which also produced Ray and Sahara) will bring the life of antislavery pioneer William Wilberforce to the big screen. 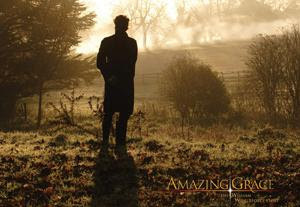 The film Amazing Grace is directed by Michael Apted from an original screenplay written by Academy Award nominee Steven Knight. The cast includes Ioan Gruffudd (Black Hawk Down), Albert Finney (Erin Brockovich), Michael Gambon (Harry Potter and the Prisoner of Azkaban), and Rufus Sewell (Legend of Zorro). The legacy of William Wilberforce is tied to his relationship with John Newton. John Newton, an ex-slave trader turned minister and abolitionist, wrote the lyrics for the hymn Amazing Grace and became Wilberforce’s spiritual counselor. He set his young protégé on the path of service to humanity. It was only after Wilberforce underwent what he later described as his “great change” or embrace of Christianity, that he became a reformer. Newton knew this to be true, and invoking the deliverance language of the Old Testament Book of Esther, told Wilberforce that it was “for such a time as this” that he had been placed in a position as a powerful Member of Parliament to secure the abolition of the slave trade. It was in the House of Commons, Newton stated, that Wilberforce could best serve God.